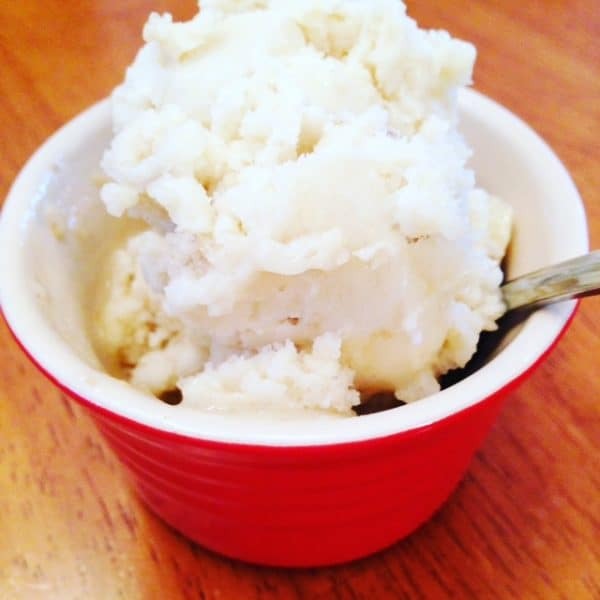 Easy Banana Ice Cream Kids Love! You are here: Home / Blog / Easy Banana Ice Cream Kids Love! Banana Ice Cream is one of my kids’ favorite treats, and it’s so easy. Always having bananas in the house, it’s common for a few to start going brown. And those are the perfect ones to peel and freeze for banana ice cream later! If you don’t have a really strong blender, you may want to freeze banana in slices. If you do have a high power blender, you can simply freeze the bananas in halves. Works for us! Feel free to top with sprinkles, chocolate syrup, or chocolate chips (affiliate link). Flash freeze peeled, brown bananas in the freezer in slices or halves. Move flash frozen bananas to an airtight container and keep frozen until you need them. Blend frozen bananas in blender until smooth. No liquid needed. 1 banana per ice cream serving.